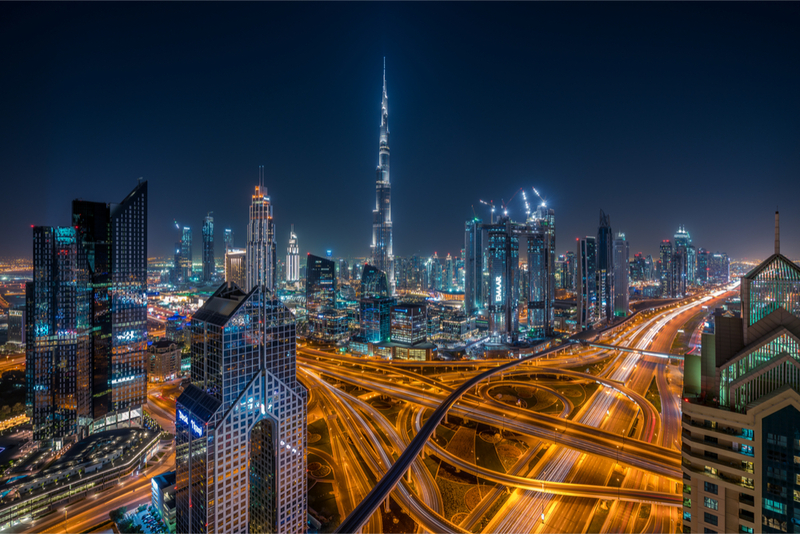 Dubai with its iconic skyline and its glamour and riches has turned on its welcoming beacon to travellers worldwide, who arrive here in droves to find out what makes the city tick. What makes it tick is the fact that Dubai is essentially extremely hospitable of guests and wants to impress them in every possible way. 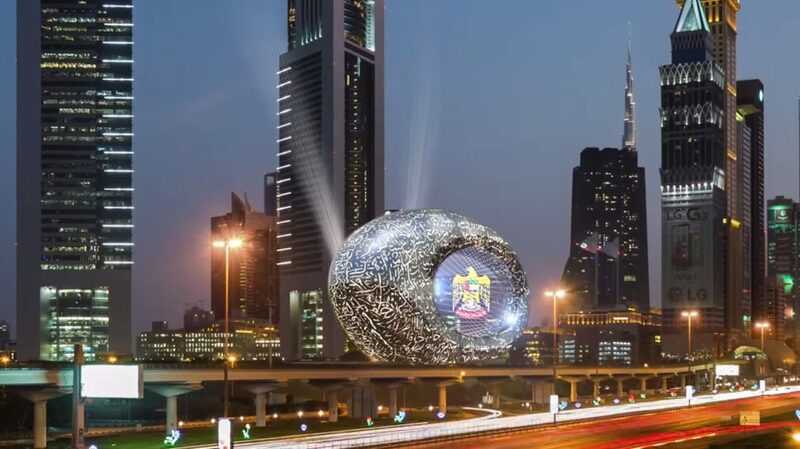 So when Dubai does something, like construct a major attraction like the Dubai Frame or the Dubai Eye or the Burj Khalifa, it goes all out. The city takes great pride in being the top and the best at various endeavours, and the proof is all around. Visit Dubai and check out these ten top-rated attractions and you’ll agree with us! The most famous building in the world, the Burj Khalifa soars majestically into the skies, touching a height of 829 meters in all with its piercing spire. It has two observation decks – one on the 125th level and the tallest one, at 555 meters, on the 148th floor. Be sure to take a trip to the observation deck on top and peer through the strategically-placed telescopes. Enjoy the most mesmerizingly panoramic views across Dubai, all the way beyond the desert, to the seas and the tiny islands encircling Dubai. The Bastakiya quarter of Dubai is what’s left of old Dubai. Don’t miss a visit to this last bit of Dubai that was, which evokes the gentler, fishing and pearl diving past of Dubai. Narrow lanes lead you to shops and stalls that sell carpets and pashmina shawls. Beautifully-preserved buildings and their air conditioning wind towers beckon for a closer look. Every building is constructed in the original Arabian architectural style, out of red sand. 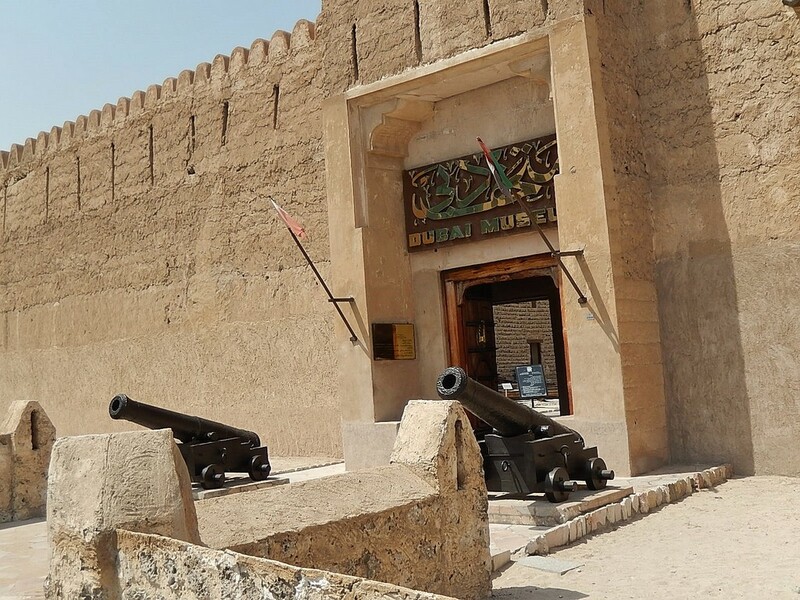 There are several museums in the area, especially the Al Fahidi Historic Museum, which takes you on a journey to Dubai’s past through dioramas and artefacts. 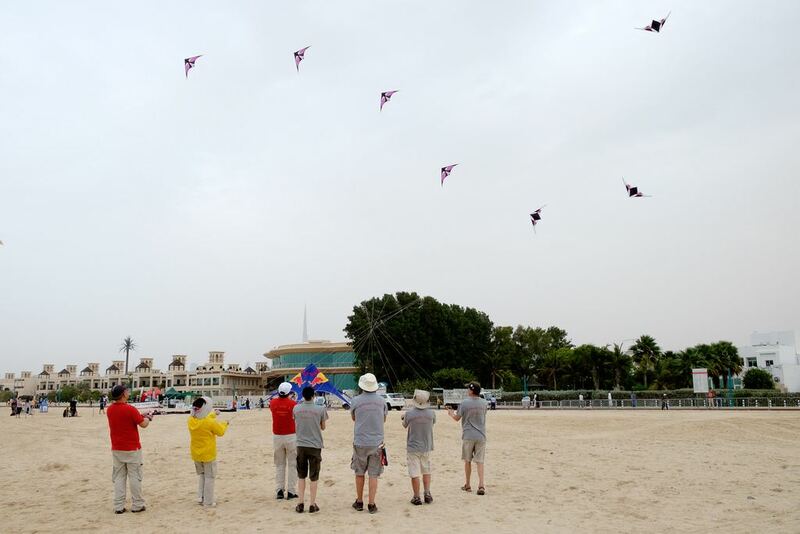 Kite Beach is one of the most perfect beaches in Dubai. Here you can go beach bumming, swimming and play various water sports. Want to surf, or go banana boating, or have the time of your life with parasailing? Go right ahead. There are several open-air cafes and restaurants where you can grab something cool to beat the heat. Bikers and skaters fly about on the skate park and volleyball games are always on. With incomparable views of the Burj Al Arab, this is one beach that’s become a top-rated tourist attraction in Dubai. 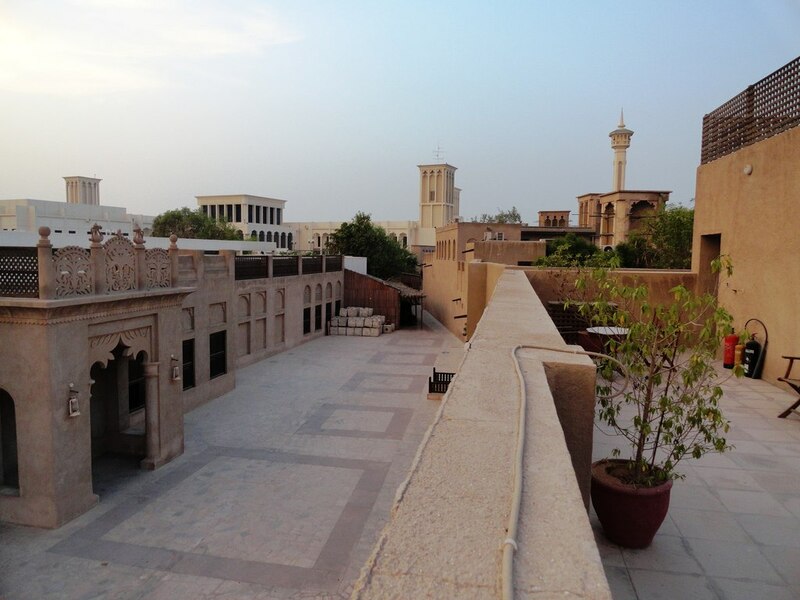 The Al-Fahidi Fort was built in 1787; it’s Dubai’s oldest existing building which now houses Dubai’s museum. The walls of the fort are constructed out of traditional coral-blocks, which are held together with an application of lime. Wooden poles support the upper floor; the ceiling is made out of palm fronds, held together with mud and plaster. In the courtyard you’ll find a number of traditional boats along with a palm-leaf house that comes with an Emirati wind-tower. Several pieces of period weaponry are presented in the right-hand hall, while there are Emirati musical instruments in the left-hand room. In the floor below are exhibits and dioramas that showcase various aspects of traditional Emirati life. 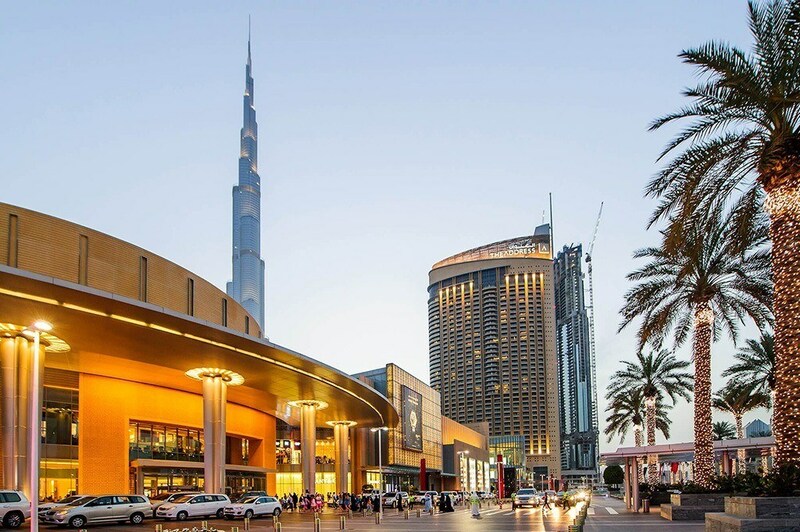 Located right below the Burj Khalifa is the Dubai Mall. The mall contains 1,200-plus shops and 150 restaurants and eateries. There’s also an ice rink, an indoor theme park, a huge indoor waterfall, the simply ginormous Dubai aquarium. The Dubai Fountain, located at the base of the iconic Burj Khalifa, is literally the largest choreographed fountain in the world. You can see multi-coloured dancing jets shoot up as high as 150 metres in the air. 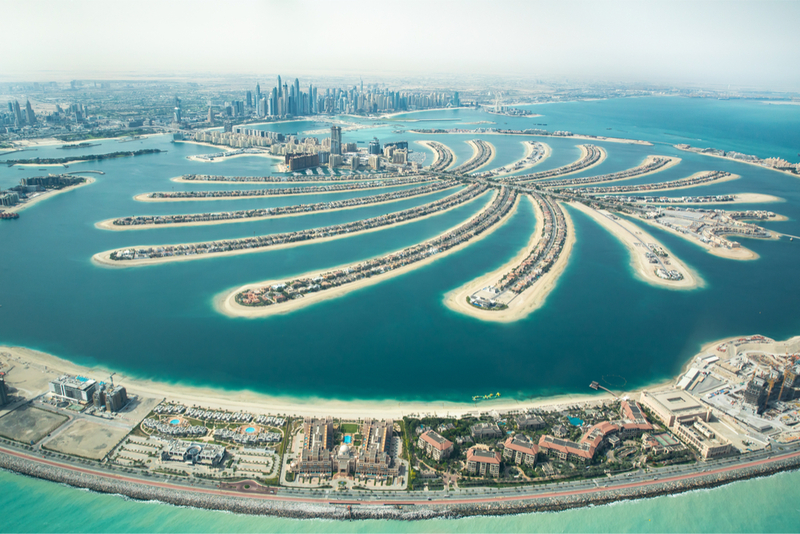 The Palm Jumeirah is a man-made island, in the beautiful shape of a palm tree with its boughs spread out. 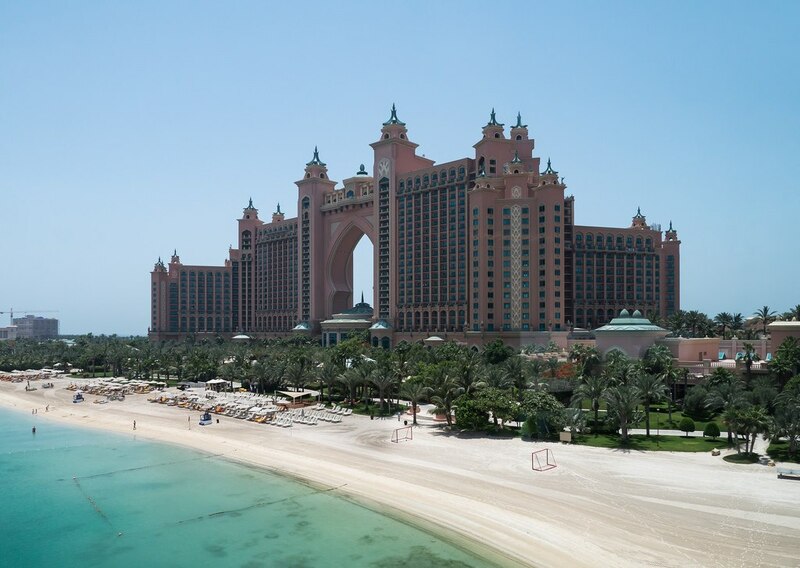 Enjoy the architecture of high-end hotels such as the Fairmont, Waldorf Astoria, One&Only, Jumeirah Zabeel Saray and also the Atlantis with its Lost Chambers and Aquaventure Waterpark. There’s a monorail that runs from the trunk of the palm to the tram system in the mainland so you can easily get to the islands. 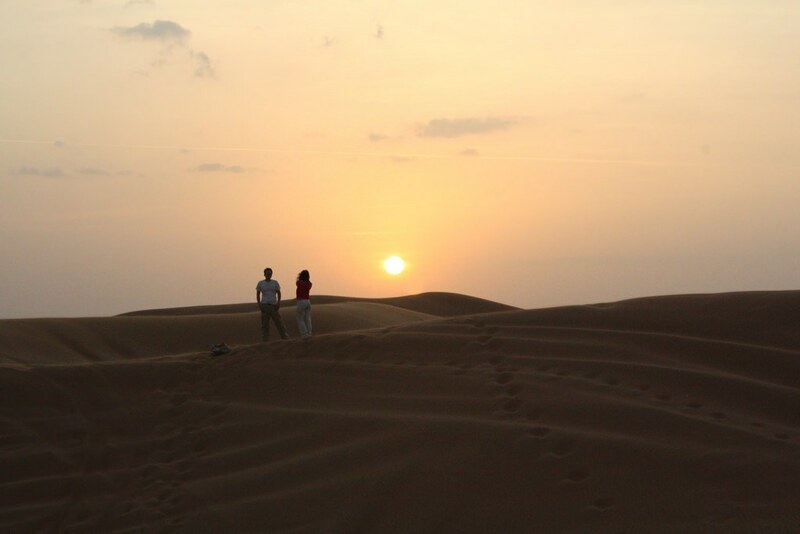 If you’re the adventurous type, head straight for the Dubai desert. The desert hugs the coastline outside Dubai, making for a wonderful view from a height. Sign up for a desert safari and enjoy various desert sports such as camel riding, sand boarding, dune bashing, dune buggy journeys, quad biking, hiking, and much more. Evening and overnight safaris offer fantastic dinners in a Bedouin tent that’s huge enough to put on a scintillating entertainment comprising of belly dancing and Tanura shows. Henna artists are at the ready to paint your hands and feet with intricate, beautifully-perfumed tattoos. The Dubai desert safari is one of the top-most high rated tourist attractions in Dubai. 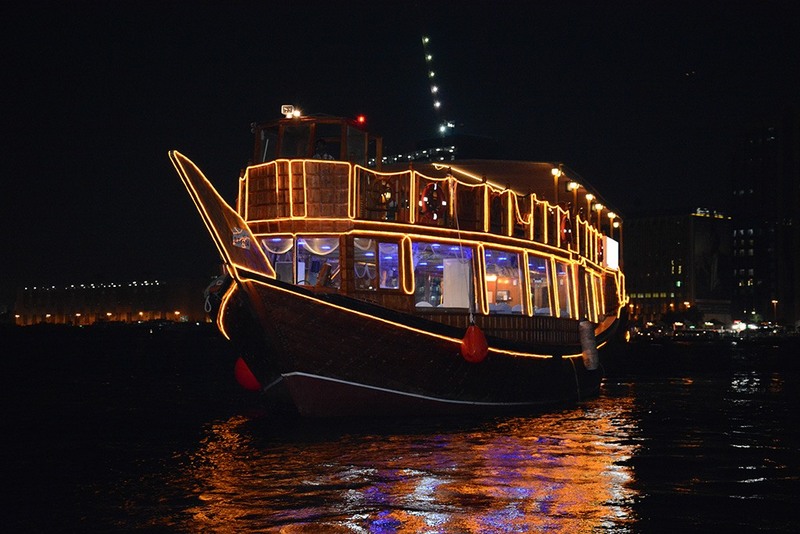 Enjoy the iconic views of the Dubai coastline from a beautifully-renovated dhow. You can sail on the Dubai Marina coast or on the Dubai Creek. Both are picturesque water bodies, opening up to the most conic Dubai views. On both sides of the creek you’ll see beautiful architecture of mosques and offices and landmarks such as the Burj Khalifa at a distance but very visible. Opt for a sunset cruise and enjoy the on-board entertainment and dinner to your heart’s content. Watch as the beautiful landmarks twinkle and glimmer in the dusk. 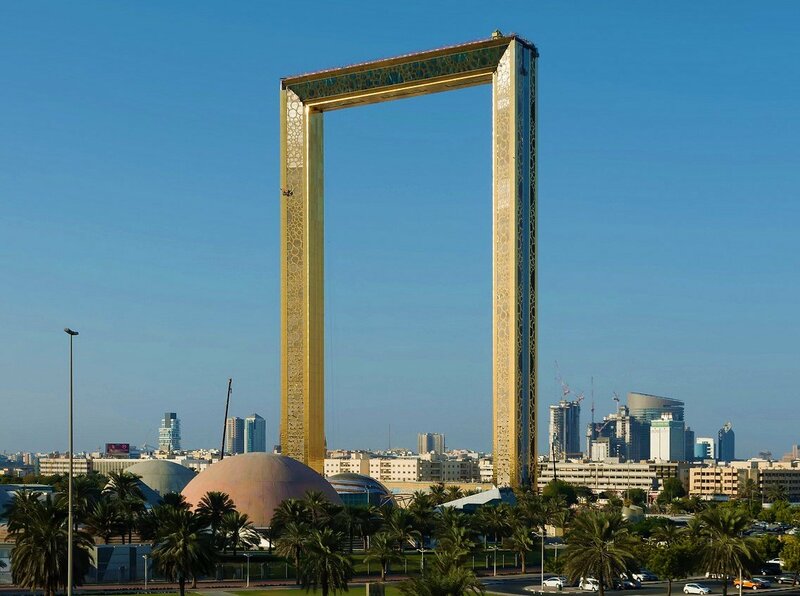 The Dubai Frame is a magnificent, 150 meter tall and 93 meters wide structure with two towers connected by a 100-square-metre bridge. There’s a 25-square-metre glass panel built into the middle of this bridge from where you can enjoy a fabulous 360 degree view. The Dubai Frame has a museum on the ground floor that showcases Dubai’s progression from the pearl diving and fishing village to the vibrant city it is now. From one side of the Frame you can see the Burj Khalifa and the Emirates Towers and from the other side, you can see the older parts of the city such as Deira, Umm Harare and Karama. The museum of the future enables you to take a look into Dubai’s future as it will be in 25 and 50 years. Advanced robotics will be in every field by then, with bots taking over the engineering and medical universes. The Museum of the Future takes visitors through various possible innovations and inventions, and their impact on human life. It also offers a unique interactive experience by exploring future possibilities that don’t leave much to the imagination. Dubai is chock-full of attractions, many of them being on the top 10 lists of attractions around the world. There’s such a variety that it’s hard to actually set aside a list of tourist-worthy places and things to do, but that’s what we’ve tried here. 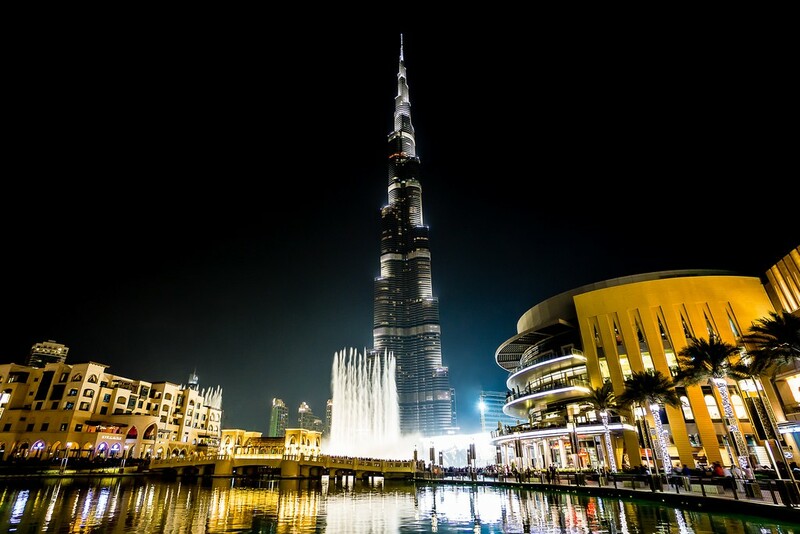 Do visit Dubai in the near future and explore our suggestions and let us know if you agree with our conclusions! I have been there in 2016 and really had a blast. The best place for is Burj Khalifa.